We have all heard about the importance of physical exercise for our health and well-being. Exercise boosts energy levels, improves our mood, helps us sleep at night and leaves us looking much better, giving a confidence boost. But with our hectic lives, it can be difficult to find the time and energy to work out on a regular basis. In other words, it can be hard to stay committed and motivated. 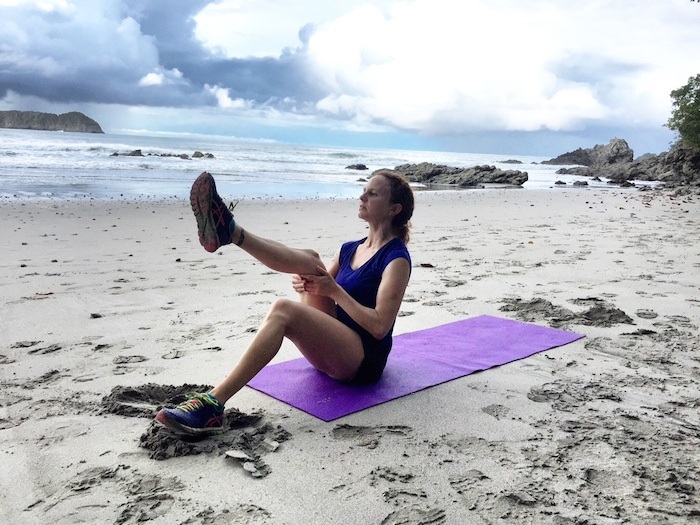 Booking a fitness holiday provides you with a chance to explore new and exciting places across the continent whilst staying healthy at the same time. You might find yourself drawn to a destination you had not previously considered with a sense of adventure to energise your chosen work out. While you’re away you can also take advantage of combining outdoor activities thanks to the mild climate in some of the destinations we recommend below. You can also take advantage of new and exciting cuisines which can benefit your diet and reenergise your body thanks to local cuisines. To help you decide where to go, we have put together some inspiring destinations where you can enjoy a well-earned holiday with some gorgeous scenery encouraging you to enjoy the great outdoors and get fit. The Norfolk countryside is like something out of a children’s picture book – all hedgerows, village greens, winding lanes, woodlands, owls, hares and deer. The coast may be an obvious holiday destination providing miles of gorgeous beaches to enjoy getting fit, but it would be foolish to overlook our county’s rural splendour which offers lots of stunning hedgerows and winding country lanes to enjoy the fresh air. From walking and parkrun to badminton, rowing and picnic ideas, this rural county offers a host of suggestions of ways to get fit, you just need to do your research or find a good fitness holiday provider to help support with your quest. If you visit Devon you can expect to be greeted by a stunning county of great contrasts, with two beautiful coastlines, two National Parks and five official Areas of Outstanding Natural Beauty. With this comes a whole host of opportunities to get fit, stay healthy and enjoy the great outdoors. From some of the finest golf courses in the country to boot camp holidays and kite surfing sessions, whatever works for you, there’ll be something to give you that wonderful ‘feel good factor’ to take home from a stay in Devon. Book a break in the sun-soaked Algarve which provides a whole host of ways to get fit. You may prefer long walks, cardio workouts, specific sports like tennis, golf or surf or classes like Yoga, Pilates or Thai-chi. You can improve your physical condition trying something new or do what you already enjoy in beautiful settings. From relaxing breaks, to sports oriented or all-inclusive boot-camps, the opportunities are endless in Portugal. Do you love wild scenery and relish the thought of royal heritage? Then running The Highlands, in Scotland’s majestic eastern Cairngorms, is for you. Once you embark on a run in sunny Scotland you will get the opportunity to experience some of the country’s most staggeringly beautiful scenery up close and at your own pace. Additional fitness activities include rock climbing, horse-riding, trekking and wild swimming in the summer months in the local lakes, springs and waterfalls. Holiday with likeminded people. A personal wellness network can offer a useful boost when you’re back from your holiday and have a difficult time implementing what you learned. Like-minded friends can keep you accountable for your health and fitness goals. Good luck and happy holidaying.